You probably already know that if you want to preserve your health and live longer, then a healthy diet, regular exercise and proper cardiac care can help you to do just that. You may also be aware that your genes play a role in determining what types of health struggles you may face, but did you know that your blood type may also make you more prone to some illnesses and simultaneously reduce your risk for others? Intuitively it makes sense, because the distinguishing factor between blood types are antigens (the immune systems defense system) and each blood type group evolved defences against the lethal diseases its’ people were most exposed to. Can Your Blood Type Determine if You Will Live Longer? In 2011, Associate Professor Muredach Reilly and his colleagues at the University of Pennsylvania’s Cardiovascular Institute in Philadelphia discovered a gene called ADAMTS7 which markedly raises a person’s risk for heart attack and coronary artery disease. Interestingly, the scientists found that people with blood type O (the most common blood type), who had the ADAMTS7 gene did not experience an increased coronary artery disease or heat attack risk. This study suggests that that there is some defensive factor in blood type O that protects a person from developing heart disease. Scientists have also found that people with blood type O have a reduced risk of dying from malaria and from contracting syphilis, gastric cancer and tuberculosis. 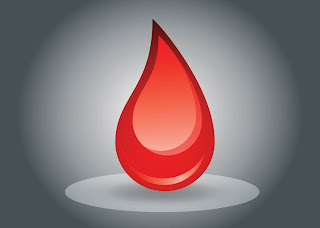 On the downside, blood type O individuals have a higher risk of developing peptic ulcers, and venous thromboembolism, contracting cholera and noravirus and getting attacked by mosquito’s. Preliminary Danish research also suggests that men with blood type O are more susceptible to obesity, particularly when they are exposed to high levels of pollution at work. When it comes to blood type A, multiple studies have found that people with this blood type have a greater risk for gastric cancer. The exact reason why is unknown but researchers speculate that this blood type may be more susceptible to alcohol, smoking, non-steroidal anti-inflammatory drugs and other gastric cancer risks. In addition, recent research has found that this blood type increases a person’s chance of contracting rotavirus. On the Brightside, women with type A blood appear to be more fertile and have a better chance of conceiving. Blood type AB is the rarest and newest blood type. There has not been much research on disease susceptibility for this blood type, but according to naturopathic physician and author of “Eating Right for Your Type,” Peter D’Adamo, type AB individuals are more prone to GI, respiratory and ear infections; parasites, anemia, and most cancers. These individuals should also be diligent with cardiac care, because they may be more susceptible to blood clots and heart attacks, according to D’Adamo. Studies have also found that women with blood type AB or B have a higher risk of developing pancreatic and ovarian cancer and preliminary evidence suggests that women with type AB have a much higher risk of developing pre-eclampsia (a lethal blood pressure condition) during pregnancy. According to Michael Lam, MD, and author of “The Blood Type Diet,” type Bs are usually resistant to heart attacks, heart disease, cancer and many of the most severe diseases in modern life. Conversely, they are more susceptible to strokes and immune system related disorders such as chronic fatigue syndrome, lupus and multiple sclerosis.